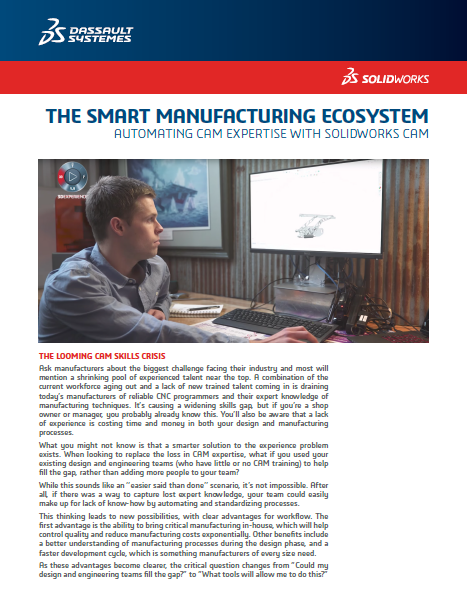 SOLIDWORKS® CAM is a fully integrated, Knowledge Based Machining (KBM) technology that allows you to integrate design and manufacturing processes under one system; to evaluate designs earlier in the process to avoid unexpected costs and delays in finishing products on time. It leverages the rich content in the 3D CAD model to speed up product development and reduce error prone, time consuming, repetitive manual steps in the current development process, like programming CNC machines. Knowledge Based Machining is the foundation for streamlining the programming process, learning as you program which frees up your time to focus on the critical areas of the components. SOLIDWORKS CAM is an add-in to all versions of SOLIDWORKS 3D CAD. 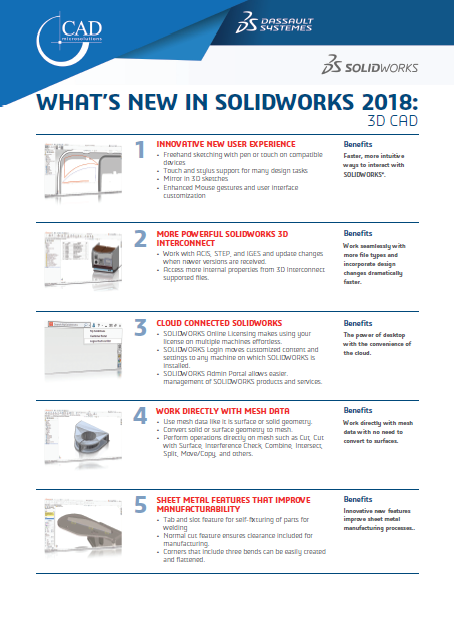 SOLIDWORKS CAM Standard is included free with all SOLIDWORKS 3D CAD 2018 licenses on Subscription. SOLIDWORKS CAM Professional builds on the capabilities of SOLIDWORKS CAM Standard with Assembly Machining, Turning, High Speed Machining and 3+2 programming to drive four and five-axis machines. Listed below, are some of the powerful features that SolidWorks CAM users benefit from. Leverage Model Based Definition (MBD) to ensure machining strategies are automatically adjusted based on tolerance specifications. 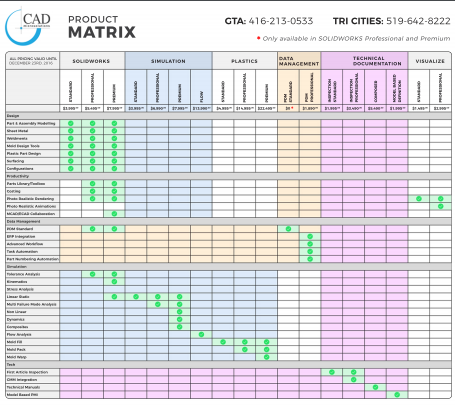 Read tolerances and surface finishes to make decisions about how to manufacture the product. Automatically apply best manufacturing strategies that you like to use so that manufacturing processes can be not only faster, but also more standardized. Automate quoting and compare it to traditional methods to ensure all aspects of the part are accounted for ahead of time. Recognize certain types of geometry not only as CAD features, but to understand how much those features will be manufactured, and even how much it will cost to manufacture.